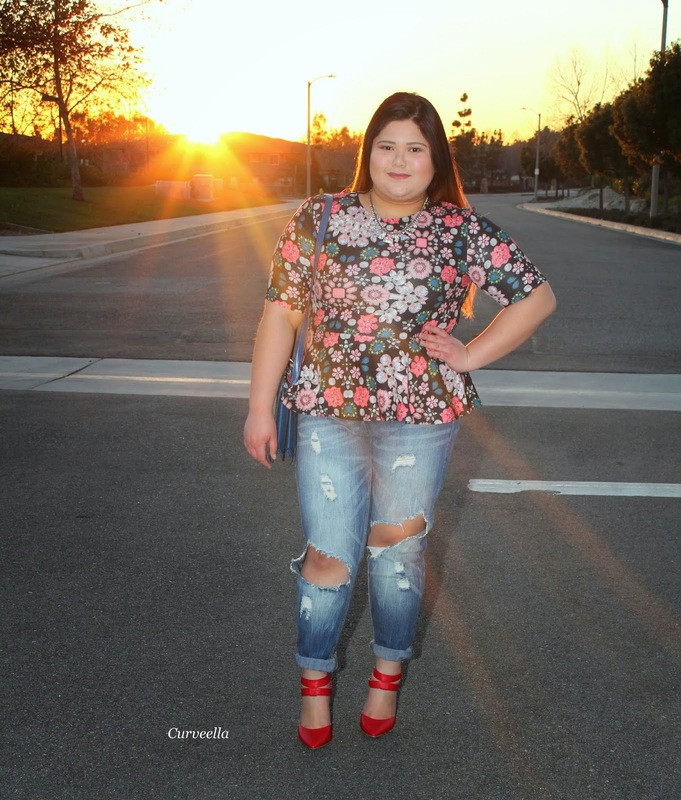 Curveella: The Power of a Distressed Jeans. Hey Curvies! How's everyone doing? A lot of you liked and commented on the cashmere jacket that I styled on my last post. Thank you so much for the love and support Curvies! So What is The Power of a Distressed Jeans about? I've you've have been a follower/reader of mine for a while now you'll know my thoughts on Distressed Jeans. It is actually one Curveella's favorite clothing piece. I own about 6 pairs that varies from simple distressed to overly distressed and from light to dark washes. I'm fully aware that people have mixed feelings about this type of jeans. Others think that distressed jeans are a bit trashy,unclassy and doesn't portray any type of style. I absolutely respect other people's opinion, after all we all have a different style and point of view in life. I think differently. I am one of those people who praise and believes in the power of a distressed jeans. Power, such big word. But for me that's the perfect word to use to describe how I think about this type of jeans. A jeans that shouts style, class, and chicness. A jeans that can be styled casually and dressy. YES I said both casual and dressy. 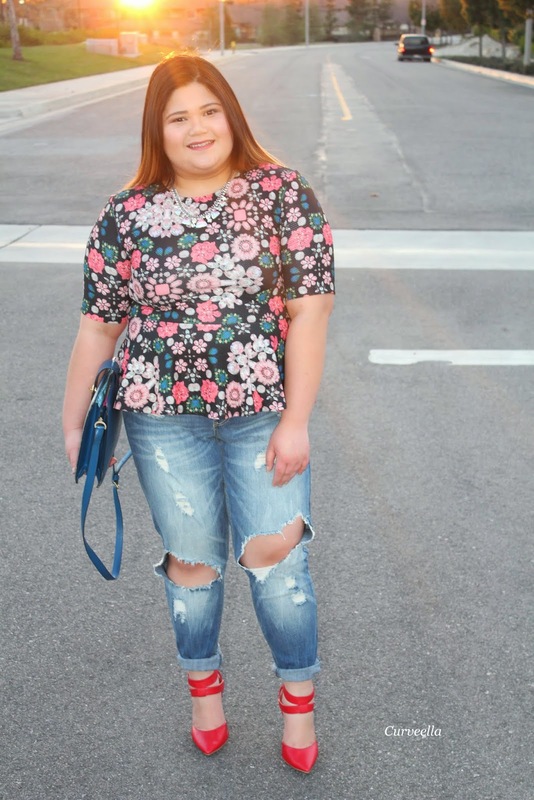 With a distressed jeans it's all about how you wear and style it, the way you cuff the bottom and the type of shoes you wear it with can make the outfit look from a casual 10 to a dressy 100. Distressed jeans with a pair of sneakers and plaid top cinched on your waist makes a great casual comfy style or a distressed jeans with a simple top and stilettos creates a casual chic look. Even a mix bold prints and accessories paired with a heavily destroyed jeans works stylishly.That basically sums up my thoughts, tips and styles about The Power of a Distressed Jeans. 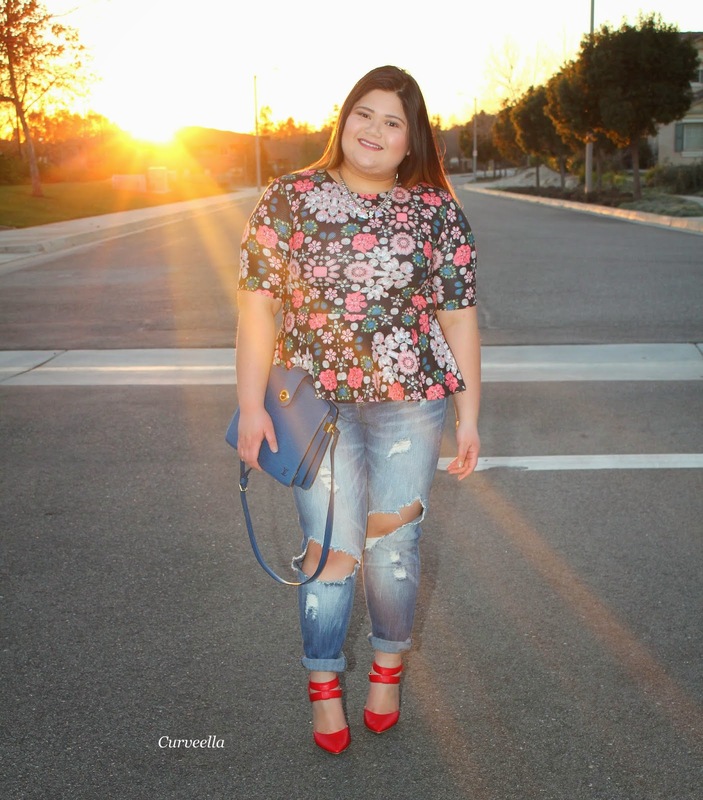 Now I want to know your thoughts about distressed jeans and I want to see how you style them. By hashtaging #CURVEELLA on instagram, twitter and or Facebook. Very good call to action... now let me google distressed jeans so I can determine if they are exactly what I thought they were. :-) You look fab! I love this look…very casual chic!